Sixth house represents debts, enemies, thieves, cuts and wounds in the body, disappointments, miseries, illness, sorrows, paternal relations, sinful deeds, battles and diseases. It deals with hard work, competition and also rise in life from adversity. According to Uttara Kalamrita, obstacles in any undertaking, maternal uncle, swelling in the body, insanity, boil (pus filled bump), enmity, sickness, miserliness, debt, mental worry and intense anguish, wound, incessant eye trouble, receiving alms, untimely meals, troubles and fear from one’s dayadins, exertion, service, severe colic or gout, theft, calamity, prison house and cruel actions have also to be studied with reference to the Sixth House. 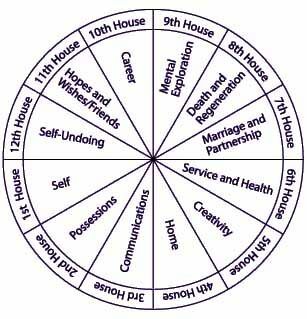 Sixth house represents the real state of disease, recovery from it and how long it will be painful for the native. This is an important house for those who have interests in serving the patients or treating patients. It also deals with proper diet, fooding and all health-related actions due to improper care of the body. The natural sign who governs the Sixth House in Kaal Purush Kundali is “Virgo” and the Natural ruler for this sign is “Mercury”. Vaidyanatha Dikshitar has also mentioned in “Jataka Parijatham” that diseases, enemies, bad habits and hurts are to be guessed from the sixth bhava. According to Rishi Parashara, Sixth House indicates step mother, sensors and denotes the characterless behaviour, abortion, sudden delivery of child, etc in females horoscope. Sixth House also represents the work and service, employees, subordinates or servants. Conditions and faithfulness of inferiors are judged through the Sixth House in Astrology. It also represents pet animals, small cattle, domestic creatures, tenants (agricultural tenant or house tenant), enmity, dress and hygiene, sanitation, dietetics, herbs, food, clothing and six flavours. 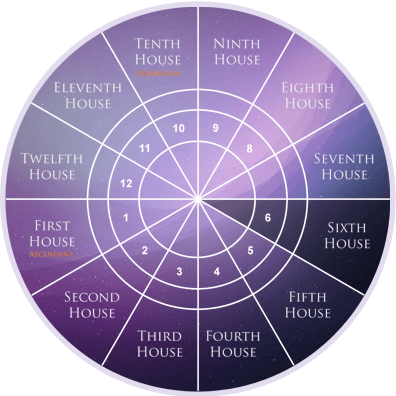 The Sixth House represents an increase in associated factors. It is also known as the “Upachaya sthana”. It indicates the challenges in competition. If malefic planet occupies this house then it will reduce the negative influence of this house, which renders benefic results in competition, daily routine challenges or tasks. In Astrology, this house represents magic and superstition also. It relates to worry and annoyance, evil deeds, fear, humiliation, phlegm, swellings, urinal trouble, dysentery, reproach, prison houses, service, misunderstanding with brothers. Human beings are supposed to suffer from sorrow and disruption from nature till the time they are alive. Only Sixth House of the horoscope decides the internal strength of a person to fight with the outer world. If a person is not strong enough to tackle these hurdles then he will suffer from physical or mental imbalance. If he has a strong will power to face challenges, he will come out as a winner to the outer world. It all depends upon the strength or weakness of the Sixth House in the horoscope. 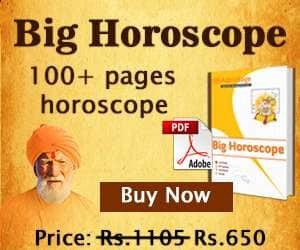 In Mundane Astrology, Sixth House rules public amity, relations with neighbors, general health of the public, political stability, financial solvency of the nation, litigation, judicial functioning, communal harmony in the country and labor relations. It represents employment, unemployment and wage conditions. It represents labour union and organizations, all branches of military and issues of national defense. It also represents public health, medical services and health workers like nursing, dentistry, practitioners and healers. It represents the places where records are kept like librarians, bookkeepers and computers. It represents epidemic, blood diseases, loans and debt, sufferings in steel and iron industry, high death rate etc. Sixth house represents the Ministry of Defense. sickness, public health, Army and Navy, warships. The other significations of Sixth House can be correlated with other houses of the horoscope. It represents secret enemies and affairs of your spouse, loss to the partner, life in a foreign place or disharmony with or separation from the partner, death of friends, danger to one’s elder brother or friend. It indicates the name, fame and career or profession of your father. Sixth house represents deputations and official journeys, transfers, legacies of friends, affairs and sweethearts of private enemies, luck through singing, speech and family trade, estates of neighbours, uncles and aunts on the maternal side, children’s family. According to Astrology books, it also represents purchase and sale of conveyance, building etc by younger brother or sister, short journeys of mother. According to Lal Kitab, Sixth House represents enemy, maternal uncle and grandfather’s family and nadir. It is considered as a nadir of Virgo sign whose natural owner is “Ketu” but Mercury rules over it. If there is no planet in second and twelfth houses then the planet occupying such houses will remain inactive throughout the life. The planets in this house activates the planets in twelfth house. It also represents well, back, underground, waist, enemy, maternal grandfather and grandmother, pet, brown colour, black dog, rabbit, birds, nephew, sister, brother in law, girl, niece etc. It is very difficult to survive in this present era without defeating your enemies. You need to struggle hard to live in this everlasting world and destroy your enemies in order to get all kinds of comforts and luxurious items. For that Sixth House in Astrology is taken into consideration. Hence it becomes an important house in the horoscope. Sixth house decides the strength and fighting ability towards diseases, debt and enemies.